Today will be a little long and technical… Many people have heard of the classic textbook story of the banking money multiplier, a characteristic of fractional reserve banking systems. Banks obtain reserves (i.e. central bank-issued high-powered money – HPM, which forms the monetary base) as customers deposit their money in, then lend out a fraction of those deposits that gets redeposited at another bank, effectively creating money in the process, and so on. 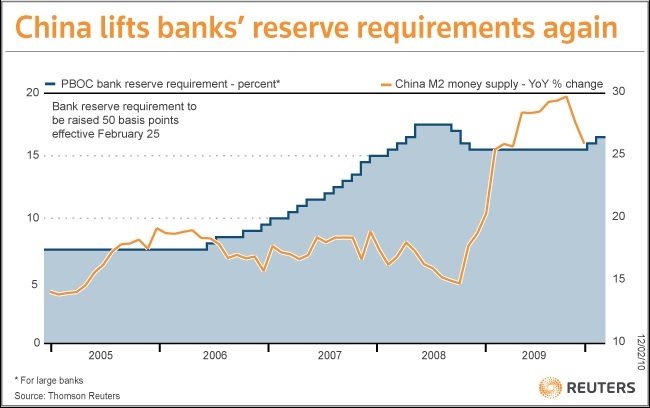 In fine, reserve requirements at central banks prevent banks from expanding lending (and hence money supply) beyond a certain point. This led to the view that banks’ expansion is reserve-constrained. But proponents of Modern Monetary Theory (MMT), and others who have no idea what MMT is, but who have been convinced by the argument, have been shouting out for a while now that this view is wrong. Banks do not lend out reserves they assert. Banks aren’t reserve-constrained but capital-constrained. Therefore, lending is endogenous, the supply of bank loans is almost perfectly elastic and the quantity supplied only driven by demand. Scott Fullwiler described the process on Warren Mosler’s (aka current MMT Guru) website. Cullen Roche has also been a strong proponent of this view (see here and here for example). […] we had discussed the orthodox belief that the government controls the money supply through control over bank reserves. This position is rejected by Post Keynesians, who argue that banks expand the money supply endogenously. How is this possible in nations with a legally required reserve ratio? Banks, like other firms, take positions in assets by issuing liabilities on the expectation of making profits. Much bank activity can be analyzed as a “leveraging” of HPM–because banks issue liabilities that can be exchanged on demand for HPM on the expectation that they can obtain HPM as necessary to meet withdrawals–but many other firms engage in similar activity. For our purposes, however, the main difference between banks and other types of firms involves the nature of the liabilities. Banks “make loans” by purchasing IOUs of “borrowers”; this results in a bank liability–usually a demand deposit, at least initially–that shows up as an asset (“money”) of the borrower. Thus, the “creditors” of a bank are created simultaneously with the “debtors” to the bank. The creditors will almost immediately exercise their right to use the created demand deposit as a medium of exchange. Indeed, bank liabilities are the primary “money” used by non-banks. The government accepts some bank liabilities in payment of taxes, and it guarantees that many bank liabilities are redeemable at par against HPM. In turn, reserves are the “money” used as means of payment (or inter-bank settlement) among banks and for payments made to the central bank; as bank “creditors” draw down demand deposits, this causes a clearing drain for the individual bank. The bank may then operate either on its asset side (selling an asset) or on its liability side (borrowing reserves) to cover the loss of reserves. In the aggregate, however, such activities only shift reserves from bank-to-bank. Aggregate excesses or deficiencies of reserves have to be rectified by the central bank. Ultimately, then, reserves are not discretionary in the short run; the central bank can determine the price of reserves–admittedly, within some constraints–but then must provide reserves more-or-less on demand to hit its “price” target (the fed funds rate in the US, or the bank rate in the UK). This is because excess or deficient reserves would cause the fed funds rate (or bank rate) to move away from the target immediately. This means that central banks cannot control the money supply. I am going to argue here that this view is at best inexact. And that, if the textbook description is outdated, it is still mostly right. Scott Sumner argued on his blog that lending was effectively endogenous in the short-run but not in the long-run. I only partially agree, as even in the short-run in-built markets limits are in place. My arguments come both from my theoretical knowledge and from my practical experience of analysing banks all day long and meeting banks’ management, including treasurers/ALM managers. On a side note, the MMT story is wrong in a commodity-backed currency environment. But its proponents reply that it is only valid in our modern fiat money-based banking systems. Fair enough. The reality is… banks do obtain funding (hence reserves) before lending in most cases. The opposite would be suicidal. Equity funding is obvious: a bank issues equity liabilities in exchange for cash that it then invests/lends. Non-equity funding, by far the largest component of banks’ funding structure (around 95% of funding), mainly comes from two sources: customer deposits and wholesale funding. Banks primarily rely on deposits to fund their lending activities. They try to attract depositors as they provide banks with more funds to lend. Of course they don’t lend out the deposits but the increase in reserves that comes along an increase in deposits allows the bank to lend more without risking a depletion of its reserve base. Banks at the same time try to minimise the interest rate they pay on deposits in order to minimise their funding costs and maximise their net interest margin (basically the margin between the rate at which banks lend and the rate at which they borrow from depositors and other creditors). They also try to attract sticky saving and term deposits, rather than more volatile (but cheaper) demand deposits. When banks want to lend more than what their deposit base allows them to lend, they need to turn to wholesale funding. Wholesale funding roughly comprises senior and subordinated liabilities (bonds) issued on the markets as well as interbank borrowings and repurchase agreements. Bond issues are quite simple: the bank issues its liabilities on the financial markets in exchange for cash. Cash that will then complement its existing cash reserves, and that the bank consequently lends out at a margin (unless of course the purpose of the issue was to refinance existing bonds). Interbank borrowings and repos are usually minimally used by banks as a source of funding, as they are very often short-term and unstable (i.e. can be withdrawn by other banks or not rolled over). Interbank funding (and borrowing from central banks) is the cheapest source of funds (although continuously rolling over this type of funding makes it expensive in the end). Deposits and other wholesale issues are more expensive. What do banks do with the cash/reserves/HPM that they acquire through their various funding sources? Well, as you guessed, they lend. But not only. Banks invest. In order to maintain an adequately liquid balance sheet at all times to face withdrawals and settlements, banks mostly 1. keep some cash in hands and at the central bank, which represents their official reserves (as specified by reserve requirements), 2. invest the remaining of their cash in liquid securities, often sovereign bonds or highly-rated firms’ debt securities, which represent their ‘secondary reserves’, and 3. place some cash at other banks (interbank lending mainly). In the end, all banks hold a liquidity buffer that represents between around 10% and 25% of their assets (and between 10 and 40% of their deposit base), under the form of both primary and secondary reserves. Why not keeping all as cash? Because of the opportunity cost of holding cash. To maximise their margins, banks prefer to invest that cash in liquid, easily marketable, interest-bearing securities. Why even keeping reserves in the first place? To minimise the probability of a liquidity crisis (i.e. not being able to face deposit withdrawals, interbank settlements or other liability maturity). If liquidity were not a constraint and banks’ only goal was to maximise profits independently of liquidity risk, they would simply avoid investing in low-yielding securities and lend at a higher margin instead. In order to maintain their net interest margin, it also happens that banks try to slow the pace of deposit inflows by lowering their rates on saving accounts, if they don’t have enough lending opportunities. Are you starting to see the differences with the MMT/endogenous lending story? Let’s take a real life example (figures at end-2012): Wells Fargo (a large bank that does not have oversized investment banking activities that distort its balance sheet, which makes it similar to smaller-sized banks as a result). What does its funding structure (liability side of the balance sheet) look like? Unsurprisingly, 83% of its non-equity funding comes from customer deposits. Long-term senior and wholesale funding represents 9% of its funding structure. What about short-term wholesale and interbank funding? 6% only of its total funding. Clearly, Wells Fargo does not fund its lending by borrowing from other banks. Its loans/deposits ratio is 84%. It gets its reserves from other sources. Let’s pick another similar bank that has a 126% loans/deposits ratio, UK-based Lloyds Banking Group. In this case, deposits could obviously not fund all lending. Did the bank fund its additional lending through interbank borrowing? No. Interbank borrowing only represents 2% of its funding structure. Adding other short-term wholesale funding makes it 10%. Why would banks try to attract depositors, or even bother issuing expensive debt on the bond markets, if all they have to do to fund their lending is an accounting entry followed by some interbank or central bank borrowing? Why would banks bother attracting expensive stable funding sources if all they have to do is to continuously increase (or roll over) short-term interbank or central bank borrowings? Why are banks even keeping such amounts of primary and secondary reserves if, once again, reserves are not a constraint and all they have to do is to go ask fellow banks or central banks for reserves, which they have to provide to stick to their monetary policy? From all those points, MMTers could reach the conclusion that bankers don’t seem to know what they’re doing. There is a relatively straightforward answer to those questions: reserves still matter. Reserves are not directly lent out. They are indirectly lent out. When a bank credits the account of a customer out of thin air following a loan agreement, it exposes itself to a flight of reserves whose amount is equal to the loan, as correctly described by MMTers. Therefore, banks need to maintain an adequate level of reserves, as represented by their primary and secondary reserve buffers. If their primary reserves are low, banks can sell some of their secondary reserves to get hold of new cash for settlements. No need to borrow from the interbank market. However, there is a limit to this process: at some point, secondary reserves will also be exhausted. This is extremely unlikely though. Such a fall in balance sheet liquidity would be punished by financial markets (see below), incentivising banks to retain enough liquidity. Moreover, banks usually try to avoid borrowing more than a limited amount on the interbank/money market. Why? Because this is a suicidal way of funding banking activities. A bank that would only rely on short-term and volatile interbank borrowing to fund its lending would expose itself to market actors’ furore: banks would start reducing their exposures to it, rating agencies would downgrade it, its share price would fall, and its cost of borrowing on the interbank market (or anywhere else) would rise. Because borrowing at very short-notice on wholesale markets would expose the bank to penalty interest rates. Most central banks also apply penalty rates to banks short of reserves. But, the central bank has a target rate and needs to stick to it, MMTers are going to reply, thereby providing all the required reserves to this bank. What are the implications of such a claim? A bank that would have single-handedly increased its lending, and hence its liabilities, without securing reserves in the first place, is at risk of experiencing adverse interbank clearing and losing some of its reserves. At some point, its reserves could fall below the required amount. However, as we have seen above, the bank holds secondary reserves that it can deplete before running out of primary reserves. What the MMT story overlooks is market reactions to a bank losing its liquidity. I know no investor or no banker that would provide funds to a bank running out of liquid reserves, unless at increasingly high interest rates, even if they know that the bank could obtain reserves from the central bank. As a result, a bank single-handedly expanding beyond what its reserve would normally allow it to is going to experience a quickly rising marginal cost of funding as a response to the loss of its liquid holdings, pressurising its net interest margin and stopping its expansion. If the bank reaches the point at which it has to borrow directly from the central bank as it has no other choice, it is already too late: markets are aware of its lack of primary or secondary reserves and won’t deal with it anymore. As a result, central banks’ overnight lending in such conditions is self-defeating. Banks, which is an industry based on trust and reputation, will do everything they can to prevent this situation from occurring in order to avoid the stigma associated with it, as we’ve seen many times during the crisis (see also a Fed study here, as well as this one). However, a bank in good financial health could well borrow from the central bank’s discount window from time to time to optimise its liability structure and cost of funding. In the end, a single bank might not technically be reserve-constrained, but it becomes reserve-constrained through market discipline! Of course, in good times, market participants can become more tolerant towards less-liquid balance sheet structures, but the principle still applies. We could apply the same line of reasoning to asset quality. As a bank expands, the marginal return on lending diminishes and it has to lend to increasingly less creditworthy borrowers. The resulting pressure on its asset quality starts worrying market actors, impacting its cost of funding and slowing its expansion. 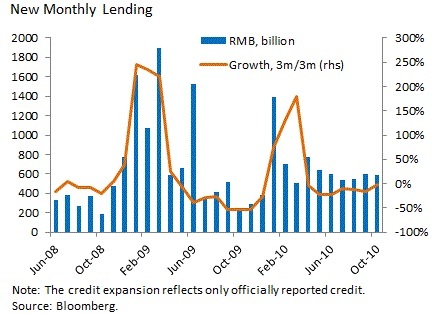 Moreover, the interbank lending rate need not rise if a single bank is having difficulties to fund itself. Other banks could actually see their borrowing cost fall as they see massive money market deposit inflows, keeping the aggregate rate stable. Second, central banks clearly cannot completely control the rate: it jumps way above target from time to time. There seems to be an inherent implication to the MMT/endogenous lending story: all banks have a natural incentive to expand as they can freely borrow reserves from the central bank. By literally following their description, it seems that most, if not all banks are fully loaned up as there is no risk of becoming illiquid. Although in such a case, there is no way they can borrow and lend from the interbank market: none of them has excess reserves. The only thing they can do is borrow from the central bank, which cannot refuse if it wants its target interest rate to remain on target. Consequently, the central bank cannot control the money supply as demand for commercial loans is out of its control. There are a couple of contradictions here. If all banks are short of reserves, there is no interbank market anymore. Nonetheless, it is true that money markets can still exist with money market funds and other non-bank financial institutions and businesses supplying short-term cash to banks. However, this situation is unlikely to happen: as described above, increasing marginal cost of funding for all the banks trying to expand beyond reasonable will slow and eventually stop the process. Only a simultaneous increase in lending by all banks could lead to all banks expanding beyond the limit. In such a case, interbank settlements would cancel out, leaving the reserve positions of each bank unaffected, with no need to borrow for settlements. In practice, banks never expand at the exact same time: some banks are aggressive, some banks are conservative. From those charts, we can see that every time reserve requirements are cut (mid-2008, early 2012), loan growth surges temporarily while the newly-available reserves are released. When reserve requirements are increased (early 2010, early 2011), loan growth slightly falls relative to trend. 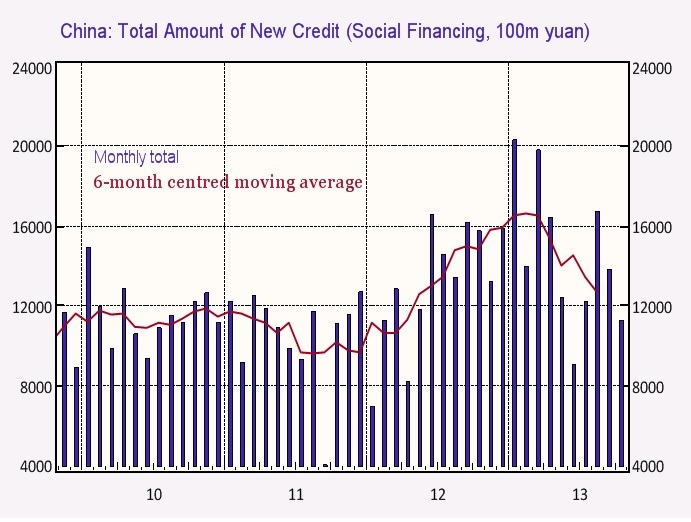 Granted, those charts do not show us the whole picture: other factors may well impact loan growth. I don’t have data for Turkey and Russia, but this study found that increases in reserve requirements led to a contraction in domestic credit in Brazil. What about interbank lending rate? It is pretty well reported that banks in worse financial health have to pay more for reserves on the interbank market (or on any other market). This should not be a surprise to financial markets actors: everyone knows that illiquid and/or insolvent banks have wider credit spreads. Does it necessarily mean that, as soon as a bank has to pay more than the target rate, it should instead borrow from the central bank? Obviously not. And we have already mentioned the stigma associated to this. Finally, what about the moral hazard associated with unrestricted supply of reserves? If this were true, surely this is a very bad way of designing and managing a banking system? This leaves us with the good’ol money multiplier textbook explanation. As I said at the beginning of this (long) post, it is quite outdated, but it remains essentially right, albeit in an indirect way. Nowadays, banks engage in what they call ALM (asset/liability management) through specific departments that identify and manage mismatches between the maturities of assets and liabilities and their respective cash inflows and outflows. As a result of this dynamic and active management, banks try to economise on reserves and take slightly more funding and liquidity risks than 19th century “collect and lend”-type banks. Nonetheless, reserves still matter and ALM bankers and treasurers also set up contingency liquidity plans, which would not make sense if they could freely access interbank or central bank funding without repercussions. There are probably other things I could say about the MMT/endogenous money story. I may follow-up later, but for now this post is long enough… I just thought that some reality had to be reintroduced into the story, which sounds theoretically as pleasant as a fairy tale but doesn’t seem to stand its ground when you dig a little deeper. Update: I initially quoted Frances Coppola in this post as her view seemed to be pretty similar to the quoted MMT story. She told me it wasn’t the case, and I updated the post as a result. There are still several things she said that I don’t agree with though. Deposits because of price. Recently major US Bank declared that It will start charging depositors if Fed will stop paying interest on excess reserves. Author of this post needs to read MMT materials. Fed controls the price of reserves not quantity. It could in theory control the quantity perhaps but the system would be very unstable. Fed is the monopoly supplier of reserves. Any monopolist can set price and let the quantity float or It can set quantity and let the price float. Those are the two choices for any monopolist but monopolist doesn’t have a choice to control both at the same time. To give an example, fed could declare that quantity of reserves is x billions and market could determine the interest rate or fed could declare the interest rate target is such and such and market will determine the quantity. So the fed is always making sure the interest rate stays on that range or It has failed in Its policy. Under current arrangement Fed has chosen interest rate target. 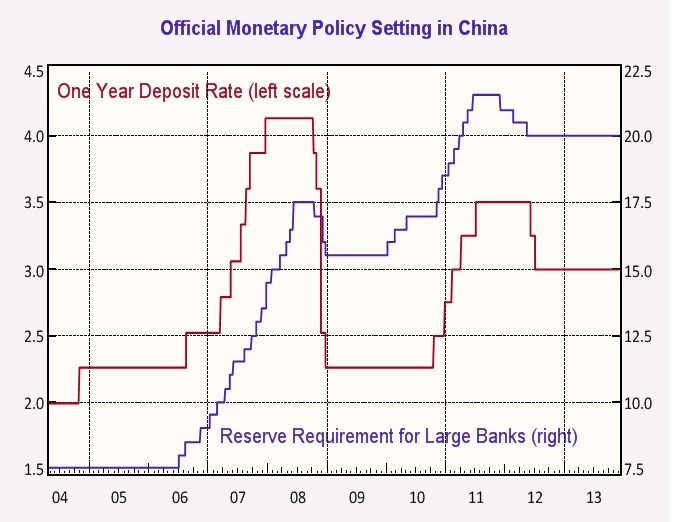 The quantity of reserves is market determined (endogenous), the interest rate is determined by central bank (exogenous). What this means in theory is that monopolist sets the price and provides “the goods” in unlimited supplies to the banking system. Limitation is capital. Banks know that quantity is not an issue but they are very sensitive about price. Kristjan, I know very well that banks are sensitive to pricing, and this is why I am saying that markets will punish banks through increased funding costs way before the central bank reacts, and that central bank reaction is too late and self-defeating: when it happens, the signal has already been sent to the market that a bank is illiquid. An overexpanding bank will see its cost of funding progressively increase, limiting its expansion. If funding, and hence reserves, was in unlimited supply, all banks would have the same cost of funding in the first place (all other things equal). The point here is that MMT agrees with everything you’ve said here in this comment. If you think you are critiquing MMT, then you don’t understand MMT in the first place. MMT argues that the a bank’s ability to expand its balance sheet is constrained by the price of liabilities and capital, not the qty of reserve balances. You haven’t suggested otherwise here, as far as I can tell–we would largely agree that all sorts of bad things can happen to a bank’s cost of liabilities if the “market’s” view of its creditworthiness comes into question..
Julien, your blog article is excellent and an accurate description of how I understand bank funding and loan creation to work. A very useful contribution to the whole MMT debate. Sometimes our academic friends are a little too theoretical and removed from the real world..!! And we are not even talking about the neoclassicals who are on a different planet..!! I’m trying to combine my theoretical, historical and practical knowledge to bring my modest contribution to the debate on banking! Hi I was wondering if you had any thoughts on the Bank of England Bulletin released in March 2014? Or if you had read this paper? Or Richard Werner’s paper “Can banks individually create money out of nothing? — The theories and the empirical evidence”? Yes I have read those papers and written about them. Julien, very instructive blog in general, thanks! You’ve focused on the limits placed on banks by (i) the penalty rates applied by private lenders to banks with poor liquidity conditions, and (ii) reserve requirements imposed on banks seeking to borrow from the central bank. But my understanding is that the main short-term constraints on bank lending today are those associated with the central bank-imposed (currently ramping up) Liquidity Coverage Ratio and Net Stable Funding Ratio, deriving from Basel III. Do you have any information about how binding these constraints are or have been? Yes those new regulations are extra constraints on banks’ lending growth. The LCR is a sort of reserve requirement of secondary reserves. In the end, they affect banks’ decision-making mostly from a profitability perspective: banks that wish to grow their loan book are also required to find ‘stable’ (and often more expensive) funding sources, and in turn those funding sources also have to be covered by some low-yielding and highly marketable assets. Consequently, it doesn’t always make economic sense to lend more. My post was mostly focusing on banks that were not subject to such rules. Maybe you should take it up with the Bank of England. While they are relative newcomers to banking having only been in existence since 1694 they do seem to have a firmer grasp than you do.